Reliable and affordable domestic cleaning services in Gunnersbury W4 performed by professionally trained cleaners from First Class Cleaner. Get a free and non-obligatory quote now! The condition of your home can tell a lot about you. There is no doubt that if it is well – maintained you will make a good impression to your friends, plus your family will live in a healthy and cosy atmosphere. If you are too busy to take care of the house chores but you still want your property to be sparkling clean, the most sensible thing you can do is to take advantage of the domestic cleaning service, delivered by a trustworthy cleaning provider. we know how important it is to find someone who will do the cleaning exactly as you usually do it. That’s why we can set up a meeting between the customer and the maid. If the client wish so, they can provide the cleaning technicians with a cleaning checklist and make sure that all the tasks included, are completed. 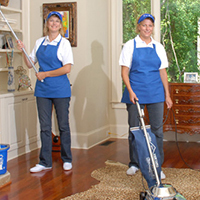 Call now and book your domestic cleaning service that will take place as frequently as you wish. Most customers schedule it on weekly or fortnightly basis but the choice is yours. Indulge yourself in a favourite activity while your house is properly maintained by the most experienced cleaners in London. The cooperative call centre representatives are available seven days a week, round the clock for customers convenience. Don’t miss such a bargain. Get your house professionally cleaned at a fair price. Your satisfaction is guaranteed.